Altitude Balloons invite you to join us for an amazing champagne hot air ballooning flight over Oxfordshire, Buckinghamshire and beyond! Much of our business comes from personal recommendation, so book a hot air balloon ride with us and let us show you that a balloon flight is the most unforgettable gift you can give for any occasion. 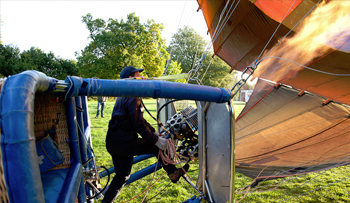 Few can resist as the hot air balloon majestically rises with the dragon-like roar of the burners. As you take off the ground drops away as if by magic and the feeling of peace and tranquillity is heightened by the apparent lack of wind - because you are now at one with it. Your pilot will always be there to act as host, answer any questions or queries you may have, and ensure that your flight is an experience that will stay with you for many years to come. So where can you fly in a hot air balloon with us? 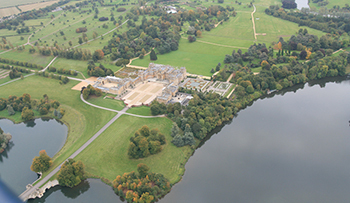 Whether it is hot air balloon rides for an individual or for two or more, come with us on our scheduled rides from the City of Oxford, from the riverside town of Henley on Thames or the Bucks town of Great Missenden soon.